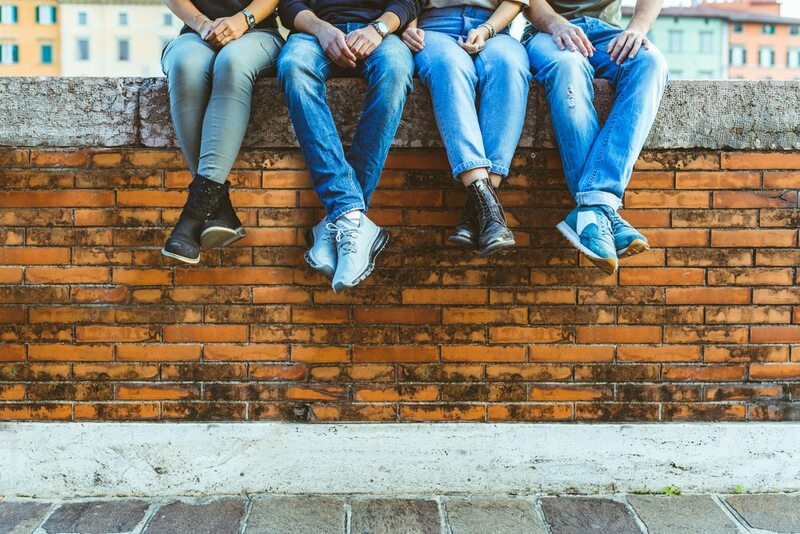 Having one of your legs is a bit longer than the other is very common and can lead secondary complications and pain in areas such as the lower back, hip and neck. At the same time this can also lead to poor posture and balance which can leads to other degenerative joint problems, stress fractures, soft tissue overuse injuries in the foot and ankle as well as increasing risk of falls and tripping. Most people have a minor difference in their leg lengths which typically doesn’t cause problems as we can typically adapt and compensate for this . For some, the discrepancy is small and negligible and will not lead to lower back pain. This is usually the case for people if their leg length is less than 5-10 millimetres. However, a difference of leg lengths greater than this can lead to problems as it can significantly affect an individual’s gait, biomechanics, foot and ankle alignment. Leg length discrepancies can be caused by poor alignment of the pelvis or simply because one leg is structurally longer than the other. In some cases recent hip replacement surgery can result in a sudden and pronounced leg length difference. Irrespective of the reasons a significant leg length difference effects your overall alignment, biomechanics and symmetry and your body naturally wants to be symmetrical and try to compensate for the length difference. The more pronounced the leg length difference, the earlier the onset and more significant the symptoms. Specific diagnoses that coincide with leg length discrepancy include: scoliosis, lumbar herniated discs, sacroiliitis, pelvic obliquity, greater trochanteric bursitis, hip arthritis, piriformis syndrome, patellofemoral syndrome and foot pronation. Other potential causes could be due to an injury (such as a fracture), bone disease, bone tumors, congenital problems (present at birth) or from a neuromuscular problem. Leg length discrepancies can be classified as a structural leg length discrepancy or a functional leg length discrepancy. 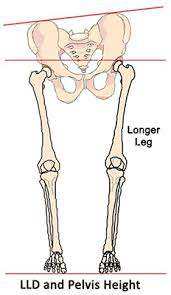 Structural leg length discrepancy (SLLD) or anatomical: Differences in leg length results from inequalities in bony structure and is usually genetic or hereditary. 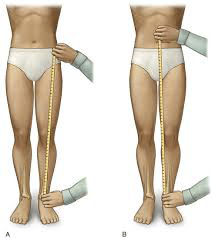 Other, more simple methods of assessing and determining the extent of leg length difference is via simple measurement using a tape measure and visual examination. Functional leg length discrepancy is diagnosed when there is a torsion or pelvic rotation/obliquity, commonly a sacroiliac joint dysfunction, which causes one leg to function as though it is longer or shorter than the other. Structural leg length discrepancy can be treated with a heel lift or shoe insert in the shorter leg’s shoe, if the leg length is greater than 5-10 mm. 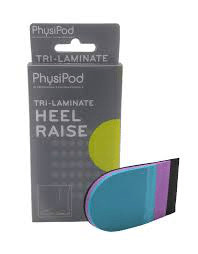 The use and size of the heel lift is determined by your Podiatrist based on how much lift is needed to restore proper biomechanics. In some cases the Podiatrist will combine a lift both within and in addition to the sole of the shoe to obtain optimal effect. At the same time lowering or reducing the height of the insole or shoe on the longer leg is also an effective strategy. Proper assessment and evaluation is important when it comes to introducing a Heel Lift to shoes to avoid creating other problems or worsening your condition. Professional assessment and advice is highly recommended. In severe cases, surgical intervention may be needed to either shorten or lengthen the limb. An important component to any surgical procedure to correct leg length discrepancies is physical therapy. Physical therapy helps to stretch muscles and maintain joint flexibility, which is essential in the healing process. For a functional leg length discrepancy no heel lift is required, but proper manual therapy techniques and specific therapeutic exercises are needed to treat and optimise pelvic alignment. In these cases our Podiatrist will typically collaborate and refer you to a reputable Physiotherapist or Chiropractor for treatment and advice on stretching the muscles of the lower extremity. If you have pain in your lower back or lower extremity and a possible length discrepancy; the two symptoms could be related. At the Foot and Ankle Clinic our highly qualified team of Podiatrists are all members of the Australian Podiatry Association and offer a combined 50 years’ experience. They are trained to diagnose and effectively treat Leg Length Differences and lower back pain via a range of effective treatments.